Personal injury law involves injury or death suffered by a person due to the negligence or wrongdoing of another. If you have been injured in an accident, you may feel lost. Who will pay your medical bills? What will you do if you are unable to return to work? Insurance Companies may try to pressure you into accepting a settlement offer, but keep in mind that these offers are generally far less than they should be. Insurance companies are businesses, and they prioritize profits over your wellbeing. A good personal injury attorney will ensure that you receive the compensation and reimbursement you deserve. While most personal injury cases do end in a settlement, it is critical that your personal injury attorney is capable and willing to argue your case at trial. It is your attorney’s ability to effectively try the case that ensures an appropriate settlement offer is made. If you have been injured by another, you may be entitled to compensation for those injuries. The Law Offices of Perry B. DeLoach, Jr represents clients throughout the state of South Carolina in a wide variety of personal injury cases, and we want to help you pursue any and all damages that may be available to you. A person has been negligent in South Carolina if he or she breaches a duty owed to another. If the breach results in an injury, then the injured party may be entitled to damages. A personal injury attorney can help resolve these issues. South Carolina is a comparative negligence state. This means that even if you contributed to the cause of your injury, you may still, and often are, entitled to damages. 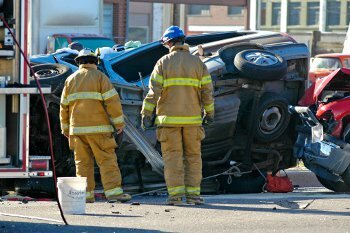 Automobile Accidents: Car, Motorcycle, and Trucking accidents cause thousands of injuries and deaths annually. While actual damages are available if the at-fault driver was acting negligently or was violating traffic laws or driving recklessly, then you may have the right to seek punitive damages for the injuries you have suffered. Slip and Fall Accidents: Property owners are required to keep properties free of dangerous conditions and defects. This includes maintaining stairs, cleaning up spills, de-icing sidewalks, as well as preventing any other dangerous conditions and defects. If you were injured in a slip and fall accident, then the property owner, whether it’s an individual, a business, or a government agency, may be liable for any damages you sustained. Wrongful Death: Often the negligence, recklessness or intentional wrongdoing of another leads to the death of someone we know. If you believe a loved one died as the result of these types of wrongdoing, you may be entitled to compensation for your loss. Product Liability: Unsafe products can cause catastrophic injuries. Manufacturers, distributors, and marketers are required to maintain standards when constructing products and advertising them. If a defective product causes injury to a person, that person may seek damages from the company or companies responsible. Personal Injury cases demand immediate attention. Please call us today. This is only a short list of potential personal injury claims. Other potential claims include nursing home neglect, boating and aviation accidents, dog bites, school and daycare negligence, and others. Please call us regardless of your situation. Consultation is free and we want to hear your story. Perry B. DeLoach, Jr. is a skilled trial lawyer and personal injury attorney with experience representing clients in difficult and emotional cases. If you or a loved one has been injured, you don’t want to stress about how you will be made whole again. The Law Offices of Perry B. DeLoach, Jr. can advise you on your legal options, aggressively pursue your best interests, and advocate for your rights in court. Our Firm serves victims in Greenville, Spartanburg, Anderson, and Pickens counties, as well as the entire Upstate, Midlands, and Low Country of South Carolina. Contact The Law Offices of Perry B. DeLoach, Jr., LLC today at (864) 520-1101 for a free consultation.